The lead boat turns out to be the snow covered Armco, a favorite of mine. This Oglebay-Norton boat is a frequent visitor to the river. For some reason, our paths cross often. 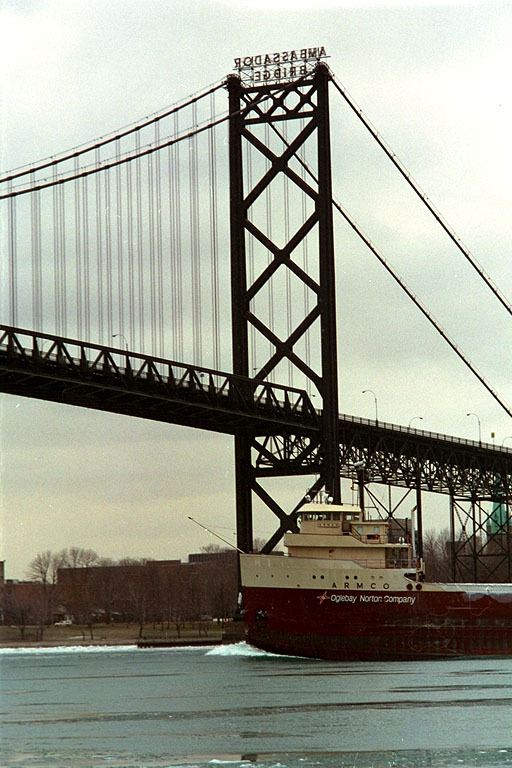 We have seen her locking through at the Soo and many times in Lake St. Clair and the Detroit River. Several years ago, we came upon her in the middle of Lake Huron while cruising in our sailboat. At that meeting, we hailed her via radio and confirmed our navigational position. Ever since, we've kept a special lookout for her on the lakes. Copyright © 1996 by James W. Hebert. All rights reserved.